Palestinians in Gaza paint a smile on their faces as they continue to endeavour to adapt to the painful reality of the blockade and the closures imposed on them. 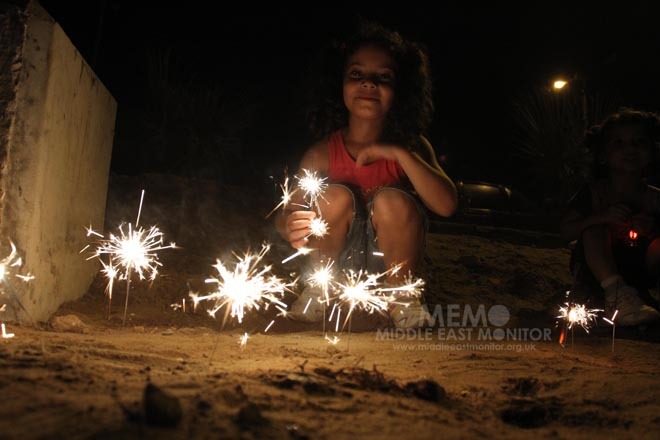 Nevertheless, on the first night of Ramadan, many Gazans gathered in Gaza City's Kutayyiba Square and lit a large lantern expressing their joy at the commencement of the holy month of Ramadan. 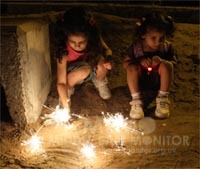 Children lit fireworks as an expression of their joy despite the difficult circumstances they live under and the fact that many of them lack the basic necessities of life. The land, sea and air embargo imposed on the Gaza Strip has left Gazans with little hope beyond the Rafah land crossing which cannot cope with the crisis being experienced within the beleaguered Sector. There is a current and on-going crisis with medical supplies and equipment as well as shortages of milk and other difficulties such as electricity shortages which mean continuous power cuts. Is Nando's Haram? - Ramadan Timetable Investigates! Recently Ramadan Timetable made contact with the Halal Monitoring Commitee UK (HMC) regarding the controversy over Nando's whether it has Halal or not. I myself had visited Nando's (Ilford) various times in the past where they had in writing behind their counter that their food is halal. I have heard so many things about Nando's from my own peer's and was not sure what to think, so i decided to finally ask the Halal Monitoring Commitee myself and also give Nando's in Ilford a ring. This is what a HMC representative had to say. Read more: Is Nando's Haram?